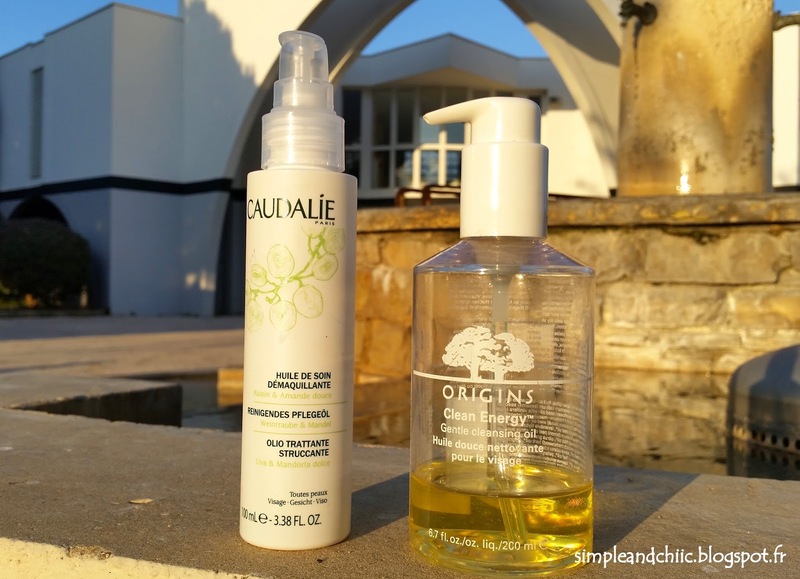 Battle of the brands: Caudalie make-up removing cleansing oil vs Origins gentle cleansing oil "clean energy". Today I want to review two cleansing oils. Skincare is a very important topic to me and the most important step in skincare is to clean our skin or removing our makeup if we do wear makeup. There are many ways to remove makeup and over the years using an oil cleanser has become my favorite. I discovered makeup removing oils several years ago thanks to the brand Origins and very recently the French brand Caudalie released its own version. I have been using it for several weeks now so it is about that time I do a review. -First of all I have to say that I really love the fact that both oils are natural based unlike MANY oils on the market.The Caudalie oil is 100% natural based. Looking at the Origins’ oil ingredient list I can easily say that it is 95 to 99% natural based. -Both products remove makeup perfectly including waterproof makeup if you use the correct amount of product. The Caudalie brand advises to use 3 pumps of product. I found out that it is not enough to remove all the makeup properly. For both products 5 pumps is the perfect amount in my opinion. What they don’t have in common. 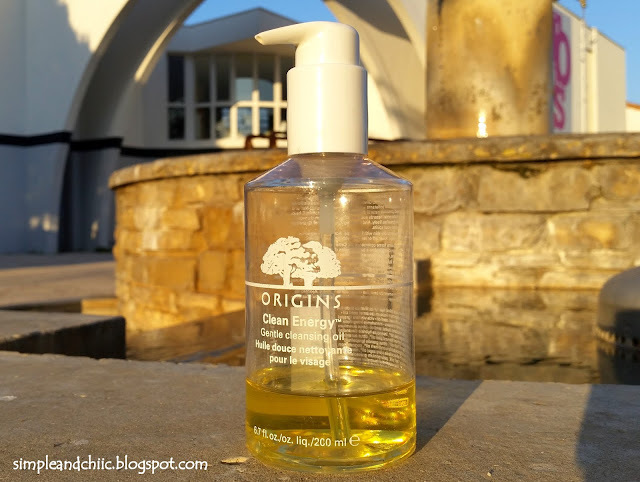 -The Origins oil is sold in a clear bottle and to get the pump you need to add around £2 otherwise you get it with a bottle cap which does not bother me because we can keep the pump for the next purchase. It is really worth it to get the pump as it gives the perfect amount of product with the use of one hand only. Also I really love the clear bottle because we know exactly the amount of product left and it is easy to wash which is perfect when you hate seeing traces of makeup on your product. The oil is sold in a 200ml or 100mI(in the UK) but I have always bought the bigger format as I think that it is much more convenient. 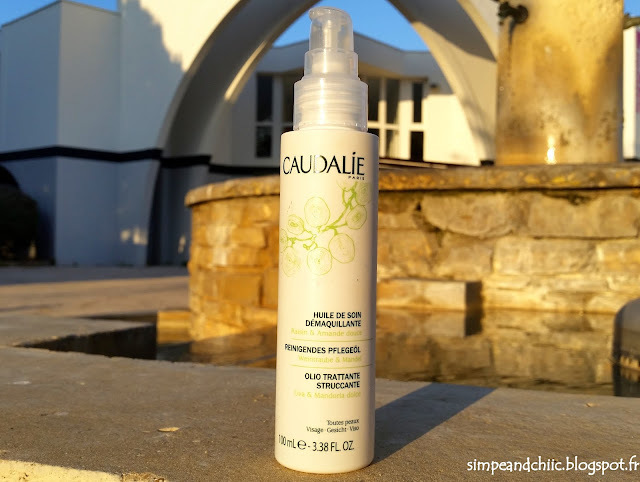 -The Caudalie bottle is sold in a white bottle and the pump is included in the price. Although the white bottle looks nice, I don’t like this packaging as I can’t see the amount of product left and it can get dirty with makeup easily. The pump gives the perfect amount of product but you need both hands to get it which is less practical. The product is sold in a 100ml format only but I wish it was sol in a bigger formt for more convenience. -The last difference between those oils is the fact that the Origins one stings the eyes easily if you’re not careful. You have to make sure to keep your eyes close until you have rinsed out the entire product. I have never had any issues with the oil from Caudalie. It is very difficult to compare the price of those products as it differs a lot depending on the country. Unfortunately the brand Origins is not sold in France so I always buy it in the UK but I would say that as a French the price of those oils is very similar. In the UK or in the USA for instance the Caudalie oil is more expensive. It is very difficult to tell which oil is the best. For me they are both great and as a French I am happy to know that I don’t have to go to the UK anymore to get a natural cleansing oil that I like. Have you tried those oils? What do you think?